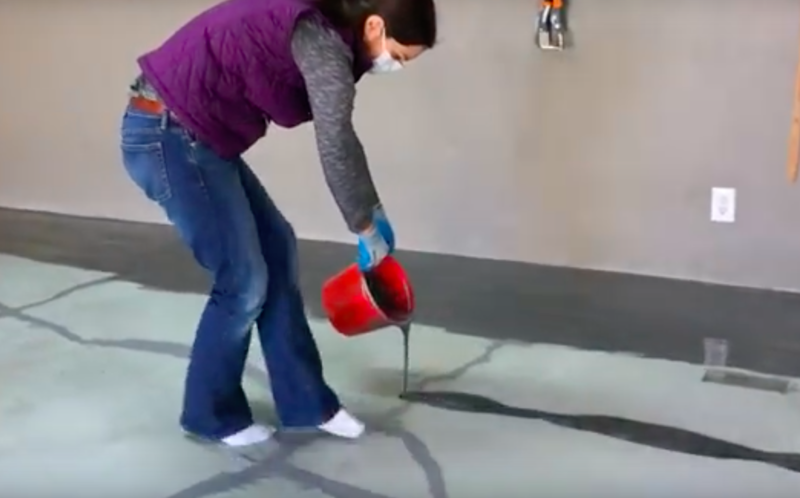 What She Is Pouring On Her Garage Floor Will Give That Sought-After Shiny Garage Floor Finish! We were lucky enough to remodel our garage a few years ago but prior to to doing that, all I wished for (as far as the garage was concerned) was that shiny, smooth floor that I had seen so many times in other garages. Little did I know how easy it is to DIY that awesome floor! Have you ever DIYed a garage flooring? Tell us how you did it! Dean I hope you saw this .